August 18, 2016by Cathy Boeckmannin InsightsWhat is a coaching culture? Working with an executive coach may, once upon a time, have carried some stigma, but those days seem to be long gone. Rather than signal that your performance is lagging, being offered the opportunity to work with a coach — on your employer’s dime — is a sign that the organization sees you as a rising star who might rise faster with a little help. Many of the companies we work with are big believers in coaching, and we get repeated requests to match Kenning coaches up with employees whose futures are bright — and who the top brass would like to see stick around. And that’s a good thing. But what’s the next step? If an organization is willing to make this much of an investment, how can it do more for more people? Our friend and collaborator Angela Wright recently wrote a thought provoking article for The American Bar Association Law Practice Today. She explores the idea of organizations that deliberately foster a coaching culture. 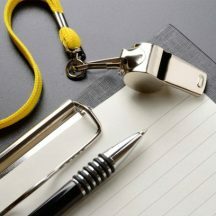 While the article discusses the adoption of a coaching culture in legal firms, the principles apply equally in any organization. Read Angela’s full article on the American Bar Association Law Practice Today website.